The wonderfully joyous band Swing Out Sister achieved worldwide fame in the 80s and is warmly remembered for ‘Breakout’, the sparkling song which captured the imagination of music lovers. It’s Better To Travel, their debut album, was hugely successful at home. This Islington Assembly Hall performance, their first London concert in six years, was an opportunity to showcase Almost Persuaded, their tenth studio album, together with earlier material. 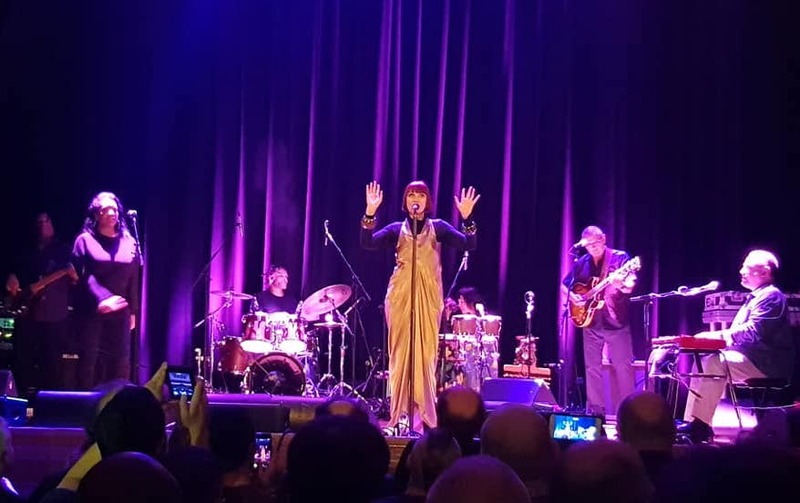 It featured the dreamy and soulful vocalist Corinne Drewery and the musical skills of keyboardist and bassist Andy Connell together with their talented band. From Almost Persuaded the band performed the elegant and mysterious ‘Don’t Give the Game Away’, an equally intriguing ‘Which Wrong Is Right?’ and ‘Happier than Sunshine’, which seemed to have an exotic breeze blowing gently through it. A gorgeously infectious ‘Surrender’, the intimate ‘You On My Mind’ and a fast and jazzy ‘That’s The Way It Goes’ then followed. I was delighted that the colour and vitality of‘Not Gonna Change’ appeared to remain unchanged! ‘Am I The Same Girl?’ felt reflective and ‘Incomplete Without You’ had grace and romanticism. Completing the set were ‘Twilight World’ and ‘Breakout’, possibly Swing Out Sister at their most confident and ecstatic. The music of Swing Out Sister has a cinematic feel and has always been a band that’s difficult to compare with any other. Their new material maintains that classy, charming and laid back feel and it was good to hear again those classic, exciting songs that have given so much happiness in past times.